Reading by the light of the divine spark -- Leonard Cohen, Shalom. 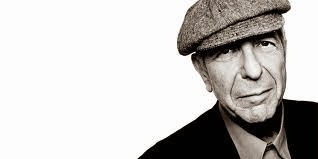 Today Leonard Cohen is gone. For reasons that are not entirely clear to me, in the last few years I found myself drawn to his life and work. The man lived at a rhythm that deeply resonates with me. 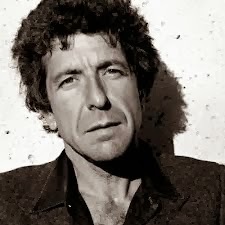 Cohen seems to have found some sort of sustainable equipoise, a stance between morality and spirit, a balance within uncertainty, and a marriage between reason, Judaism , and Buddhism that draws me in. There is something here I need to take on board in some way. Perhaps you will find something there too. I'll start with his poem/song "Anthem" -- 'forget your perfect offering, there is a crack in everything, that's how the light gets in." It is, I believe, evocative of an old Jewish creation story (also found in Quaker belief, I think) that posits the existence of a divine light in all things, revealed to us not in spite of our imperfections, but because of them. The story comes from a 16th century rabbi, Isaac Luria. The powerful thing about it for me -- an agnostic -- is that it isn't simply a cosmology, an attempt to explain the existence of the universe and the human race. Rather, it imbricates human beings directly into the divine project as actors, by calling upon us to seek out the divine light in all things and all acts, and to engage in tikkun olam, the mending and repair of the world. There is no end to this process, and no reward really (no heaven, hell, etc). It is, rather, our telos. It is how we are to write the book of our common lives. Don't look for perfection, measure ourselves and others by it, or expect it. It is in the imperfect where we find the divine light -- or love, if you prefer. As Cohen puts it, "every heart to love will come, like a refugee." I come to you wearing many hats tonight. I am a member of the Providence School Board. I am a professor of the history of American cities and politics. And I am a parent of two children who have attended a charter school here in Providence. And I am speaking tonight in opposition to the proposal for the expansion of AF. As a parent and as a scholar, I understand that charter schools have a place in urban education, in line with their original purpose as laboratory schools, to help improve practice in the public schools. I am not an ideologue on this issue. My family has been well-served by the charter school my kids attended. I know people who work at AF schools here. They are good people, doing good work, for the best of reasons. But there are bigger issues of policy here, in a democratic society that needs robust, open and transparent public institutions in order to function justly, and which no parent waiting list should override. I have many reasons for opposing the AF proposal for expansion, but I will focus on 3. First, whatever benefit a couple thousand kids may get from this, it will come at the expense of 20,000 Providence kids and their families, and the thousands of young people in the future who will seek and are entitled to a public education here. In the next decade the AF proposal plans to draw more than 2000 students away from the PPSD – almost 10% of the school population. Under the current funding calculus, the fiscal impact will be inequitable, irreparable, and devastating. I would also ask you to keep in mind that Providence has only just in the last week achieved a boost in our bond rating – and that Moody’s has warned that the dramatic rise in charter school enrollment nationwide will create “negative credit pressure” on school districts in economically weak areas, The NAACP has recently called for a national moratorium on charter schools in part for this reason. While they say that the money follows the students, this isn’t really true. Public schools have costs that charters do not, like operations/facilities, and pension contributions. One of the strengths of a true public school is its ethical and legal obligation to educate all. In contrast, charter schools control enrollment — in both direct and subtle ways. The public schools have greater proportions of students who need ELL and special education services. The district will have twice as many kids needing special education than AF, for example, which is very expensive. Traumatized young refugees from war-torn places show up, often alone, to our public schools everyday. And we accept them, and try to do our best by them, because despite the events of last night, that is the best of who we are. It is what it means to have a public school system – common schools, they used to call them. I cannot imagine a worse time for us to be weakening our public institutions, especially one so central to our civic immune system and our future as a pluralistic society as public schooling. Second, what is being proposed here is effectively a high-risk social and financial experiment with our children, without a Plan B. When we have a public school system that is over-burdened and underfunded, it defies common sense as well as common decency to siphon money from it to build a second, parallel and less accountable one. It is akin to responding to a fire in your kitchen by selling your fire extinguishers to build another kitchen. We have too much child poverty, and too much segregation, and a system of paying for public education that afflicts the afflicted and comforts the comfortable. Expanding charter school seats does not fix this, and in a zero-sum resource environment it will make the problems worse. To shift our common wealth to an entity that has only been in this state since 2013 – and which has never run a middle or high school here – is roughly akin to withdrawing the money you’ve saved for college and taking it to Twin River. To justify such an act – putting the lives of 20,000 kids at stake, for the benefit of 1/10th that number – would require the situation in the public schools of Providence to be so dire, as to leave no other option. Which brings me to my third point. Why now? I’ve been on the School Board here for 18 months. I visit schools, and talk to teachers, principals and parents. And I am inspired by what I am seeing. The district is moving toward school autonomy, pushing resources and staff out of the central office and into the schools. We’re developing curriculum and services that are culturally responsive, and sensitive to the socio-emotional needs of our students and their families. We have received national grants, awards and attention for this work, from Carnegie, Harvard, and the White House. We are working to build an administration, staff and faculty that are more reflective of our community, and sensitive to its needs and experiences. And we are doing this despite a resource situation that is roughly akin to running up a down escalator, as the percentage of school aged kids in our city in need of ELL services balloons in the coming years, while our buildings deteriorate, and we have the space to create one pre-k classroom – one – despite the overwhelming evidence for its benefits. I should add that the events of last night throw the very future of federal funding for public education into doubt, at precisely the moment when public schools in our nation’s struggling cities are facing heightened costs and expectations. Now is not the time for this. Charters may be publicly paid for, but they are always privately managed; they are an example of the privatization of public services. Privatization undermines our sense of common purpose and public responsibility. It reflects a chronic sense of civic defeatism. It is a surrender to pessimism. When this state is ready to address child poverty, and housing segregation, and our regressive tax system, and a constitutional right to an equal and effective education, and the need for universal pre-K, I’m willing to listen to proposals like this. But right now, this moves us in the wrong direction, and I urge you to reject it.